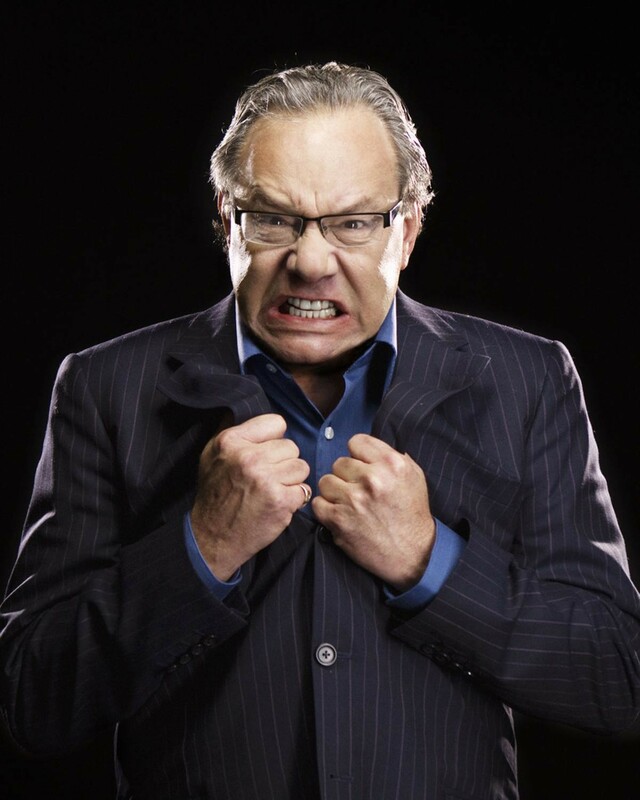 Lewis Black rants incidentally in the CATcomedy520 LOL Crawl Jan. 27 through Feb. 2. LOL Crawl features one of the best known and most beloved comedians in the U.S., entirely coincidentally. The boon puts the venerable Lewis Black at the Fox Theatre at 8 p.m. Friday, Feb. 1. Tickets are $39.50 to $65 via foxtucsontheatre.ticketforce.com. Black is known as “America’s angriest man” but he encourages fans to challenge him by sharing their own rants and observations. Submissions range from the grossness of pickles to serious environmental concerns. He shares submissions that tickle him in his live sets. In the video he continues by reading a brilliant essay about Thanksgiving by Tucsonan and frequent contributor Mildred Ellison. Astonishing mainly for its number of context-perfect f-bombs, Ellison’s essay somehow retains a relatable essence of family traditions. Black invited her to meet last year and Ellison says it was a “terrific experience.” She says she finds writing comedy invigorating and fun, but although she tried stand-up at an Estrogen Hour benefit for the Leukemia and Lymphoma Society, she says, “I’ll stick to churning out the rants and enjoying the spectacle of him performing them.” And a spectacle it is, rife with yelling and energized finger-pointing about the mundane absurdities of modern American life. Black and his longtime opener, John Bowman, welcome stories and suggestions from locals along the tour route. send “Road Suggestions” to lewisblack.com and “Rants” to lewisblack.com/live. Black is a prodigious author, producer and director for live theater and television projects for which he has won countless awards. The Daily Show increased his exposure to the public and resulted in his first stand-up record in 2000. Eight more records followed. He’s won two Grammy awards and a Sports Emmy for his turn in “Inside the NFL.” He’s written 40 plays and three best-selling books and co-starred with Robin Williams in Man of the Year. Steve Gillespie was ten years in the grind as a touring standup artist, then his second record, Alive on State, hit number one on iTunes. Nothing changed. His pushy, coarse persona and improbably cheery outlook keeps generating laughs about a self-destructive life. Gillespie performs at Laffs Comedy Caffe at 8 and 10 p.m. Friday, Feb. 1; and 7:30 and 9:30 p.m. Saturday, Feb. 2. Tickets are $12.50 and $17.50 via laffstucson.com. There is a two-item minimum.